You may be an unmarried parent in Scottsdale or elsewhere in the Northeast Valley who wants to prevent your former partner and children from moving out-of-state. 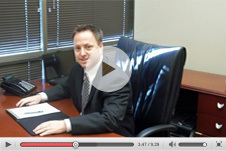 If you face a case related to parental relocation in Arizona, the Belt Law Firm can help. We can advise you on how to legally protest your child’s other parent from moving. These cases become particularly complex when questions of paternity are involved. When parents are unmarried or the father of the child is in question, the rights and responsibilities of each party may become tangled in legal complexity. 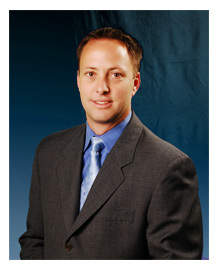 Contact attorney John C. Belt at Scottsdale’s Belt Law Firm for the legal guidance your need for you and your family. If a child’s parents were not married when their child was conceived or born, the father may have no child custody, parenting time or visitation rights. Paternity must be legally established. This can be a challenge for many reasons: there may be an emotional chasm between the former partners; there are pages and pages of legal paperwork that can be complicated; in unmarried cases and instances where paternity is questioned, conflicts often arise that involve child support, custody and parenting plans and other Arizona family law challenges. Either party involved in the dispute can request a paternity test in Arizona. Once you have established paternity, child visitation, child support, and the ability to make decisions about a child’s future will become legally possible. Issue of inheritance, citizenship, and other long-term and significant developments in a child’s life will become possible once paternity is established. Contact us at our Scottsdale law firm focused on family law for the skill and experience you need on your side.